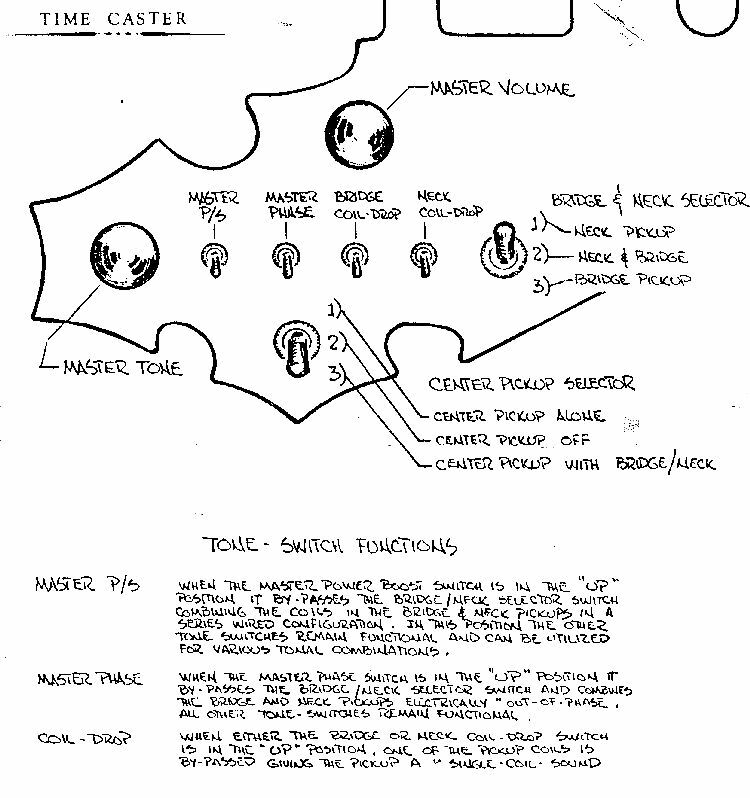 Time Guitars • View topic - Time Caster Switching Description. I found this Time Caster Switching Description in my pile of Time stuff. As you can see. The two pickup selector switches allow more choices than a standard 5-position strat switch. Return to How they were made.